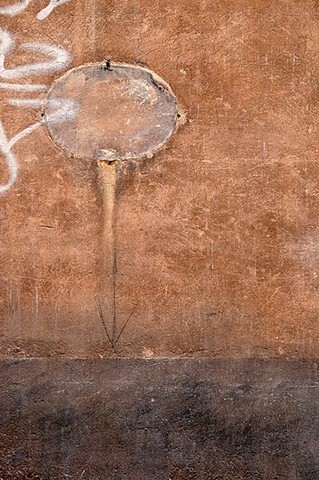 In Venice, a functional wall plate was nondescript until a snippet of graffiti appeared and I sketched an arrow. This is a fleeting moment of art that is soon to disappear. Macro lens.